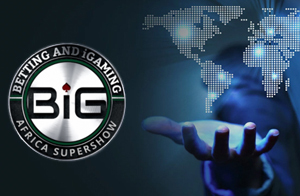 In March next year, the 6th Annual BiG Africa Supershow is scheduled to take place. This is the biggest and most intensive conference geared towards the African gambling and casino industry, bringing together thousands of people linked to the market. According to Eventus International, which is organizing next year’s BiG Africa Supershow, the event will take place on March 25th and 26th at Emperors Palace in Johannesburg. Eventus International said that the expo would bring together industry providers, operators, South African gambling regulators, key government officials and industry advisors. They would get together to discuss the current and future state of sports betting and casino gambling in Africa. Eventus said that next year’s BiG Africa Supershow would deliver the biggest cross-industry panel of speakers to date. Participants, therefore would receive even more networking opportunities than ever before. Operators would have a fantastic opportunity to grow their businesses, showcase their products and solutions to an international audience, promote their brands to a captive audience and share and exchange concepts and ideas. More than 30 gaming industry icons are lined up to speak at the BiG Africa Supershow, sharing their insights on a broad range of topics. New speakers scheduled to deliver talks include the chief executive office of the Eastern Cape Gambling Board, Mabutho Zwane, as well as Dr. Philemon Masogo, the senior manager of law enforcement of the Limpopo Gambling Board. • How other forms of entertainment can boost casino revenue. • What players are looking for in gaming entertainment. • How to make a player’s experience at your casino a ten star stay. • Insights into Africa’s gaming regulations. • The technologies best suited for Africa’s gambling market. • A data-led approach to casino player acquisition and retention. Eventus International has put together packages that would allow participants a deep discount if they buy passes to the event in November. Join other like-minded industry people and attend the hottest event on the South African gambling calendar next year.